In the first season finale of Disney’s DuckTales reboot series, fans finally discovered the fate of Della Duck, the long-missing mother of Huey, Dewey, and Louie. Della was voiced by Criminal Minds star Paget Brewster in the finale, and Della’s story is far from over. According to Deadline, Paget will be a recurring member of the cast in DuckTales Season 2. Within the mythology of the show, Della Duck is the twin sister of Donald Duck and they were Scrooge McDuck’s original companions for his international adventures. Della is actually a character who was first mentioned in the ’30s, but DuckTales is the first time that she has ever played a major role in a story. One of the major subplots in the first season revolved around the mystery of Della’s disappearance and why Scrooge’s first team broke up. In the closing moments of the first season finale, fans learned that Della is stranded on the moon with no way to return or contact her family, even though she clearly longs to do so. Presumably that problem will be solved in the second season when it debuts later this year on Disney Channel. 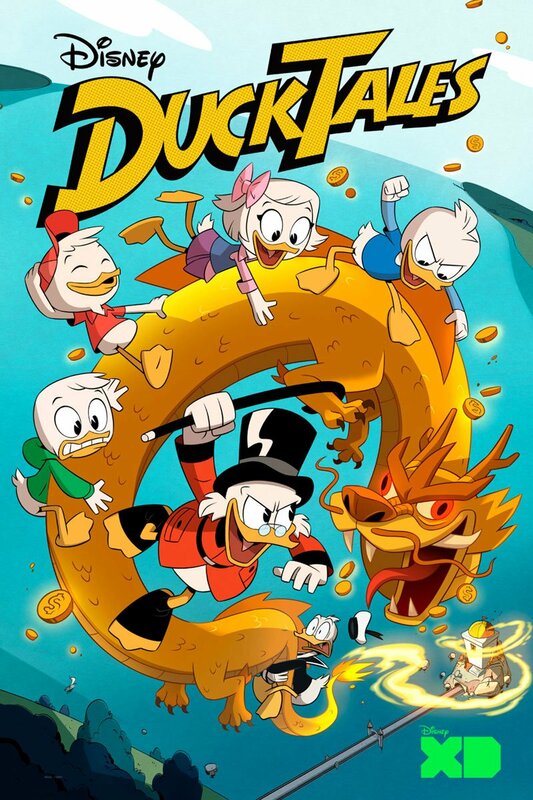 The modern DuckTales reboot features former Doctor Who star David Tennant as Scrooge McDuck; alongside Danny Pudi as Huey, Ben Schwartz as Dewey, Bobby Moynihan as Louie, Kate Micucci as Webby Vanderquack; Beck Bennett as Launchpad McQuack; and Toks Olagundoye as Mrs. Beakley. Are you excited to hear Paget Brewster’s take on Della Duck in the second season of DuckTales? How do you think she will get home? Share your DuckTales theories in the comment section below!